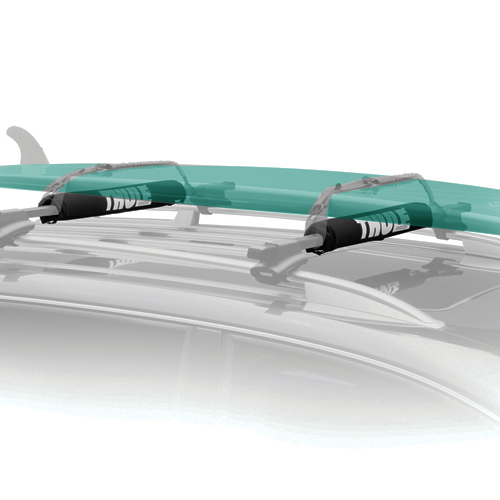 Thule Car Roof Racks are engineered to fit just about every car, van, SUV and pickup truck on the market. Thule Roof-top Bar Racks and available in two styles - traditional square black crossbar racks (actually rectangle), and the new AeroBlade aluminum crossbar racks. Thule's AeroBlade Racks are stylish, quieter and slightly more fuel efficient than Thule Square Bar Racks. The maximum carrying capacity is 165 lbs for each model. 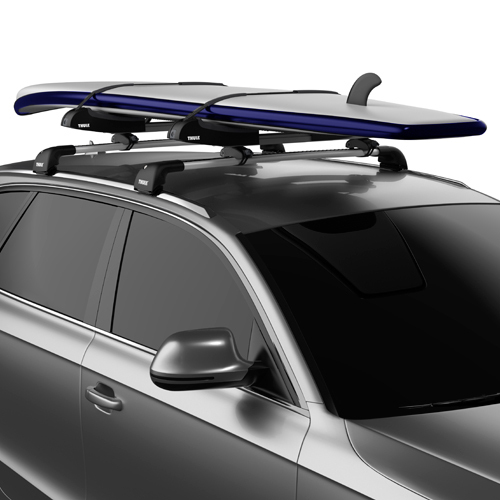 Thule Roof Rack Accessories are available to securely attach kayaks, canoes, bikes bicycles, surfboards, SUP stand up paddleboards, windsurfers, skis, snowboards, cargo, and just about every other type of sports equipment. Trunk and Hatch Bicycle Racks, Trailer Hitch Receiver Bike Racks, and Spare Tire Cycle Racks carry 2 to 5 bicycles and offer a cost effective alternative. The Rack Warehouse is proud to be recognized as one of Thule's elite 5 Star Dealers. 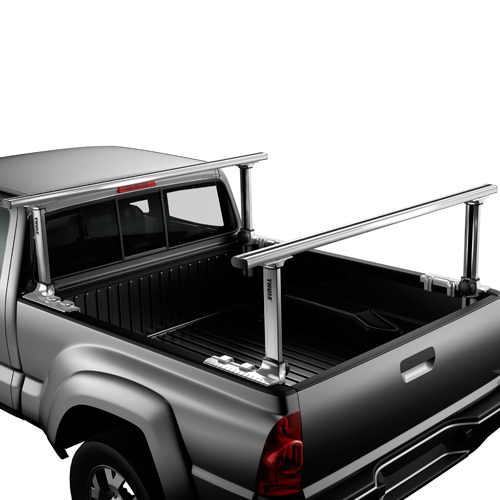 The Rack Warehouse stocks Thule Roof Mounted Crossbar Racks for cars, sport utility vehicles SUV, vans and pickup trucks. Thule car roof racks like the 480 Traverse Racks and 480r Rapid Traverse are designed to fit vehicles with smooth roof lines and no apparent fastening points. 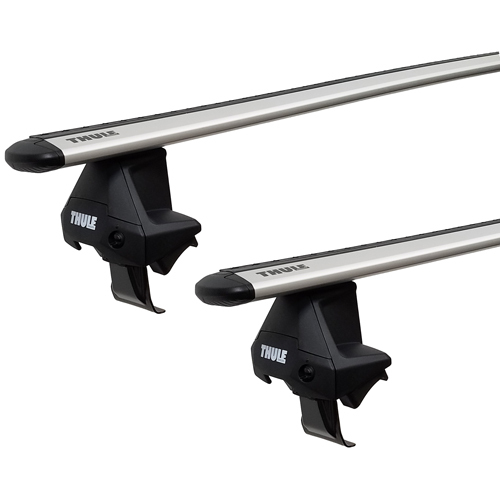 The Thule 450 Crossroad Racks and 450r Rapid Crossroad are designed to fit factory raised railings. The Thule 460 Podium Racks and 460r Rapid Podium fit vehicles with slotted roof tracks or factory fixed fastening points. Rapid Systems are compatible with Thule AeroBlade Aluminum Crossbars and require a specific bar length to fit your vehicle. 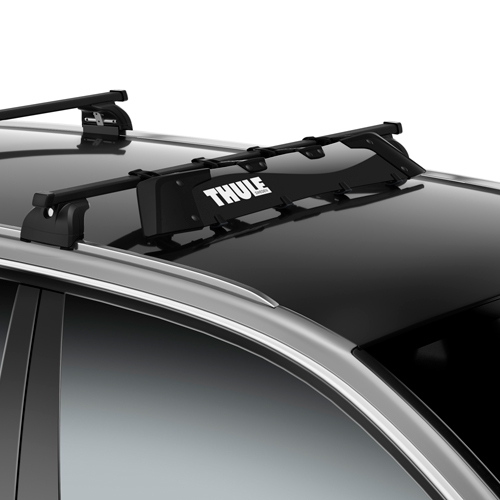 Thule 300, 387 and 953 rain gutter racks are vehicle specific. Try our Thule Fit Guide to find the rack options for your vehicle. To simplify transferring your existing Thule Roof Rack to a new vehicle, or to purchase Thule Components separately, RackWarehouse.com stocks all individual Thule Base Rack Components and Kits. 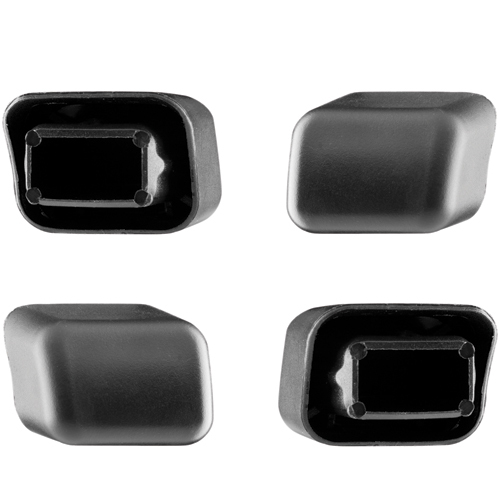 Parts like Thule Standard Square Crossbars and Thule AeroBlade Load Bars, 480 480r 450 450r 460 460r Thule Foot Packs, Thule Standard Fit Kits, Thule Podium Fit Kits, Thule Traverse Fit Kits, Thule Locks and Locking Accessories, Thule Wind Fairings, Thule Roof Tracks, Thule Artificial Rain Gutters, Thule End Caps, and more, are available for immediate shipping. 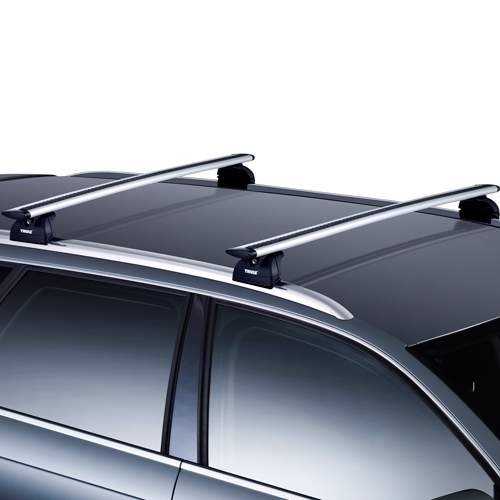 Try our Thule Fit Guide to find the best fitting rack options for your vehicle roof. 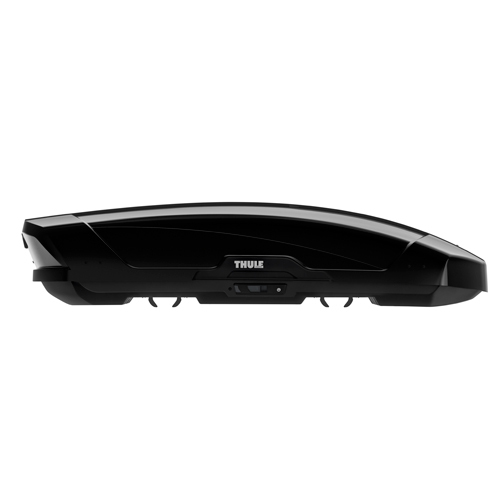 Thule Bike or Bicycle Racks are available in a variety of styles, shapes, carrying capacities and price points. 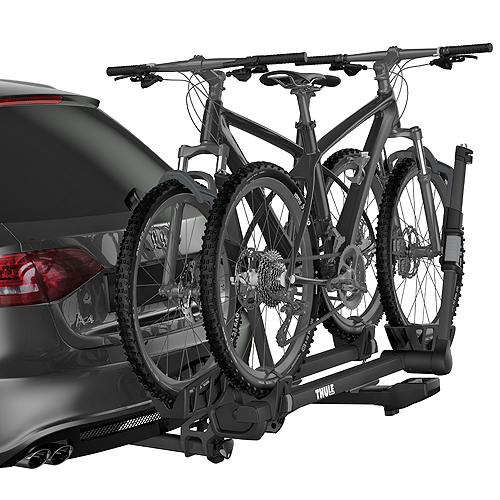 Thule Bikes Racks are designed to mount on car roof racks, trailer hitch receivers, spare tires, pickup truck beds, rear hatches, trunks and more. Thule Roof Mount Bike Racks fasten to your roof rack and carry your bikes upright either by the front fork, down tube or front tire. 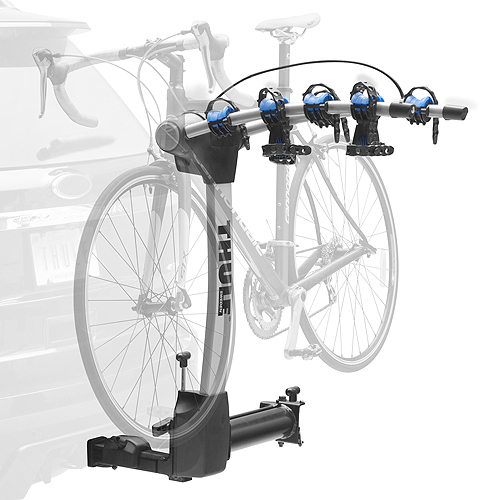 On Thule Trailer Hitch Receiver Mounted Bicycle Racks your bikes hang by the top tube of your bike frame or sit in a wheel tray and are held in place by the frame or front tire. Bikes hang by the top tube of your bike frame on Thule Spare Tire Bicycle Racks. Thule Strap-on Bike Racks hook and strap onto your vehicle's rear hatch or trunk and support your bike by the top tube of your bike frame or by a wheel tray. If your bike does not have a horizontal top crossbar, you can purchase a Thule Bike Frame Adapter as a transport aid. Thule ski racks, Thule snowboard racks, Thule ski and snowboard carriers, and Thule ski rack accessories attach directly to Thule crossbars and most other aftermarket and factory installed racks. 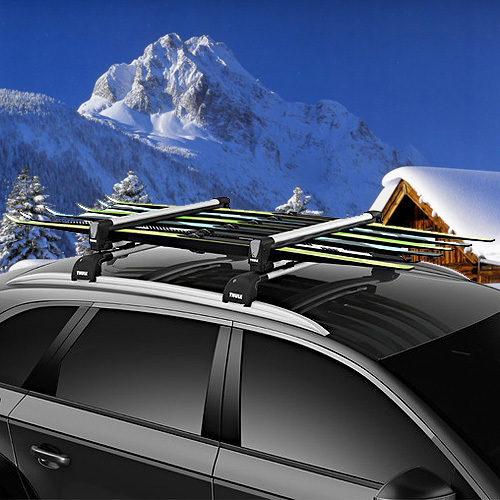 All Thule ski and snowboard racks are in stock at RackWarehouse.com - including:Thule 7324 SnowPack Universal 4 Pair Ski Racks 2 Snowboard Carriers, Thule 7326 SnowPack Universal 6 Pair Ski Racks 4 Snowboard Carriers, and Thule 9033 Tram Hitch Ski Snowboard Carrier. Thule ski and snowboard racks have oversize opening buttons (great when your gloves or mittens are on) and locks for securing your skis and snowboards. Thule Lock Cores, Thule Locking Cables and Thule Locking Accessories are in stock to securely lock your gear to your Thule Rack and your Thule Rack to your vehicle. 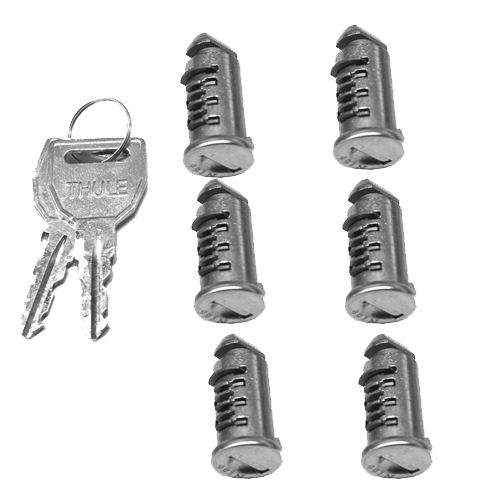 Thule 1 Key Lock Cores are sold in quantities of 1 to 12 and include keys. The Thule 6 ' Locking Cable is ideal for locking bicycles, kayaks and canoes to your roof rack or to a post at your destination. Thule's new Locking Cargo Straps with Steel Inner Cables are ideal for locking your water sports boards to your roof rack. Locking Accessories like SnugTite Lock and Passive Lock are also in stock. Be sure to visit our Thule Awesome Deals! page for great deals on closeouts, display racks, returned items and more. Thule Car Racks offers a variety of rack accessories designed to quiet your ride, tie-down loads, fasten rack accessories, anchor roof racks, and store gear. The Rack Warehouse stocks and discounts all available Thule Wind Fairings and Thule Rack Accessories. 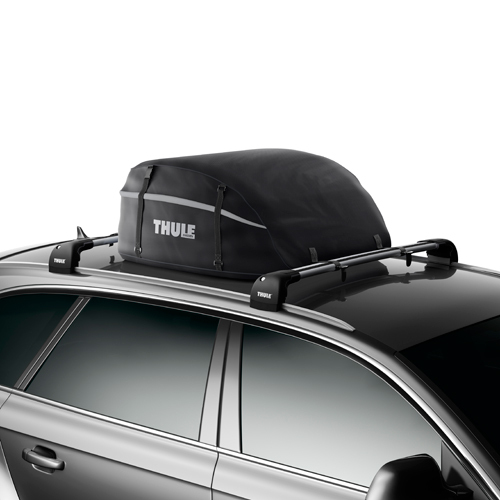 Our Thule Accessories include: fairings, end caps, tie down straps, bike travel cases, Xadapt kits, artificial rain gutters, roof tracks, bike storage racks and more. If you don't find what you're looking for, please check out our Thule Complete Product List for a complete listing of all Thule Products. The Rack Warehouse stocks and discounts all Thule Indoor Storage Racks for sports gear, cargo boxes, bikes, kayaks and more. 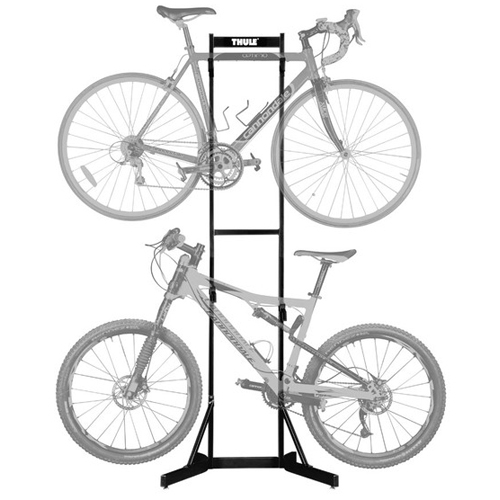 The Thule Bike Stacker is a free standing bicycle rack that fit nicely into a dorm room, basement or garage and holds 2 bike. 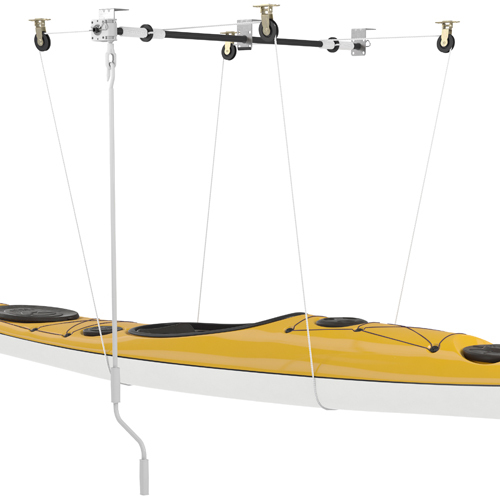 The Thule Cargo Box Storage Lift fastens to your ceiling and utilizes a pulley system to lift a kayak, canoe, surfboard, SUP, windsurfer or cargo box to your ceiling. The Thule Round Trip Travel case is ideal for transporting your bike on the airlines. Be sure to visit our Thule Awesome Deals! page for great deals on close-outs, new returns, store displays and more. 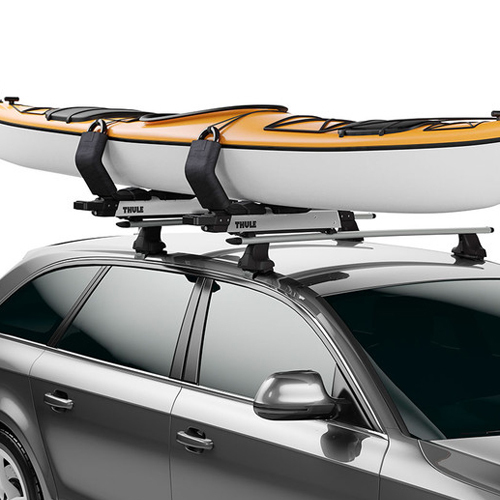 Thule Car Racks and Carriers closeouts, returns, displays and blemished items including roof racks, bike racks, kayak carriers, ski racks and more, are discounted 20% to 50% at RackWarehouse.com. Most of these Awesome Deals! are single items that are new or in nearly perfect condition. None have been used unless noted in the product description. Thule's full Limited Lifetime Warranty applies to all of these Thule Rack items. All other Thule Products are in stock and ready for immediate shipping from The Rack Warehouse. Because of the deeply discounted pricing associated with these items, Coupon Codes do not apply to Awesome Deals Items. Awesome Deals Items are not returnable. The Rack Warehouse lists the most popular selling Thule brand rack fits by Auto Manufacturer. Popular Thule Roof Racks including Thule 500 Xsporter Pro, Thule 480 Traverse, Thule 480r Rapid Traverse, Thule 450 Crossroad, Thule 450r Rapid Crossroad, Thule 460 Podium and Thule 460r Rapid Podium are available to fit just about any automobile. Thule engineers work continuously to update and create roof racks to fit the wide variety of cars, pickup trucks, vans and SUVs on the market. On our list, you'll find a perfect fitting roof rack or truck rack for most of today's top selling vehicles including Chevrolet, Ford, Toyota, Dodge, Chrysler, Nissan, Honda, Acura, Lexus, Pontiac, Buick, Cadillac, BMW, Mercedes, Volvo, Volkswagen, Audi, Dodge and GMC. Please use our helpful Thule Fit Guide to find the perfect fitting roof rack for your vehicle.